This event was extremely successful. The Coastal Dinosaurs talk by Philip Hadland was well attended by around 30 people. 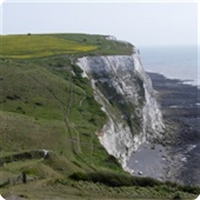 Visitors will be greeted by a wide range of interesting items from around the region in celebration of East Kent's fossil riches. Their will be short lectures, learning games for kids and stalls of all kinds to satisfy the enthusiast right up to the serious collector. The RockDoc will also be on hand to identify any finds the public might bring in. Dr Alasdair Bruce, aka 'Rock Doc', and the Rock Doc team and experts host an afternoon of fossil discovery. Come and have your fossil identified by the fossil experts, who are on hand to tell you more about your findings. You can come to the Fossil Fair for free if you buy a ticket to our Coastal Dinosaurs talk taking place on the same day at 12 noon.